Julio, based on your situation and location I recommend you give the Chromebook a try. As I mentioned back on my blog in the comments to you, you will miss some of the power tools on the MacBook, but when you search the Chrome Store you will be surprised how many applications that you find that will meet your needs. Also, in NYC you will likely have little problem finding sufficient WiFi coverage between your home and coffee shops, etc. Just read your comments on your blog. And as I mentioned my current computer is still running fine so I figured just using Google Chrome would be a good enough of a simulation for now. 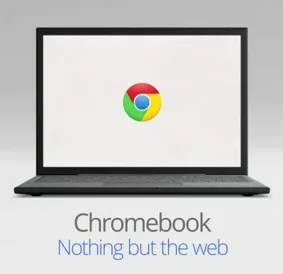 Especially since the Chromebook I want to get is currently sold out and has been since it became available to buy. Samsung needs to ramp up their production. I am considering the more affordable Acer model for my mom but I don’t think she’ll need that much hard drive space and the battery isn’t all that great. I’m awaiting reviews on that model before I hit the checkout button on that one.